You guys have probably scrolled trough endless city guides for cape town while searching for places to visit but have you ever thought about a guide that gives one a whole schedule of things to do? I put together a guide with timings, showing you guys my perfect day guide for a trip to cape town..
9AM, Breakfast time. What would be better than enjoying healthy food in the morning. Dolce Bakery is a smaller bakery shop, which opens during the week daily from 7am-5pm and weekends from 8am-2pm. The bakery invites it´s guests to sip on healthy smoothies, vegan cupcakes and a creamy cashew cheese, that is used for bagels and pizzas. The bakery however also offers gluten free dishes and meaty, so as vegetarian options. Dolce Bakery has also WIFI access and can be suitable for those who are looking for an office on the go. The atmosphere within the bakery shop is bright and colorful. Walls, all decorated with lovely messages of customers will give one a smile and happy boost into the day. Prices are very fair and start with R8 for baking goods and R59 for (vegan) pizza. Dolce Bakery also offers cakes and cupcakes on order for birthdays or other occasions. Their Instagram account is giving a sneak preview on their creative artworks. 11AM, Nearby the bakery one will find Woodstock Exchange. The small center is a mixture of shops, offices, cafes and creative labs. Woodstock is one of the new hip areas, comparable to Wynwood in Miami. An absolute must see is the Grandt Mason shop, that is located inside the center. The shoe label was found is 2002 by the young south African designer and creative head, with a vision to give a sustainable change. The vegan shoe label offers however a self-customizing service, which I even tried myself. When entering the shop, one can decide out of different shoe shapes and models. After than there is a whole load of materials to decide of, in all colors and patterns. For those who are doubtable about their shoe size there is also the chance to get that measured. 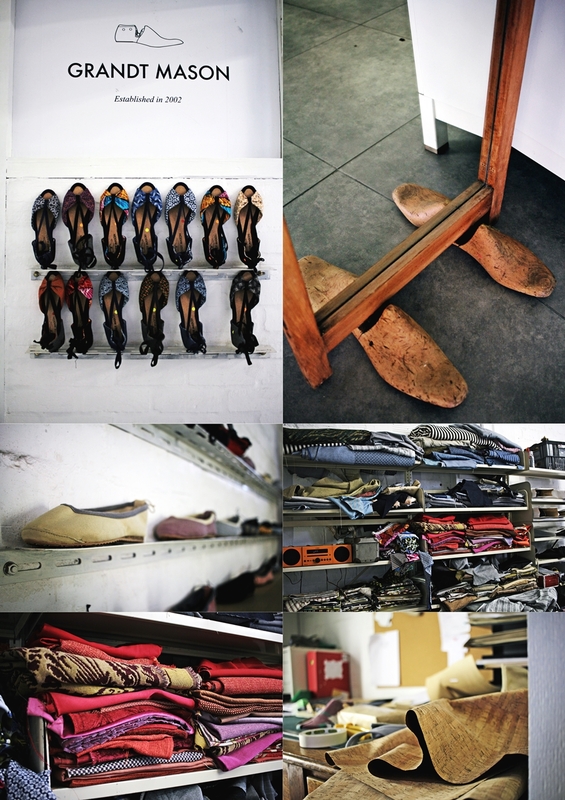 Beside my visit and designing my own pair of shoes I was able to take a look behind the scenes, as the atelier is located within the head store. The shoes, self-customizing service and more information are all available online and the shoes are shipped worldwide. Especially for me this is a great option to have something special to style with my looks and a great memory of my travels. Beside that the whole process is exciting and a fair project for everyone involved. 1PM, While Cape Town started to have many restaurants and vegan friendly places within the last years, plant still remains the all pant based restaurant and of course this spot had to be on my list while traveling to Cape Town. 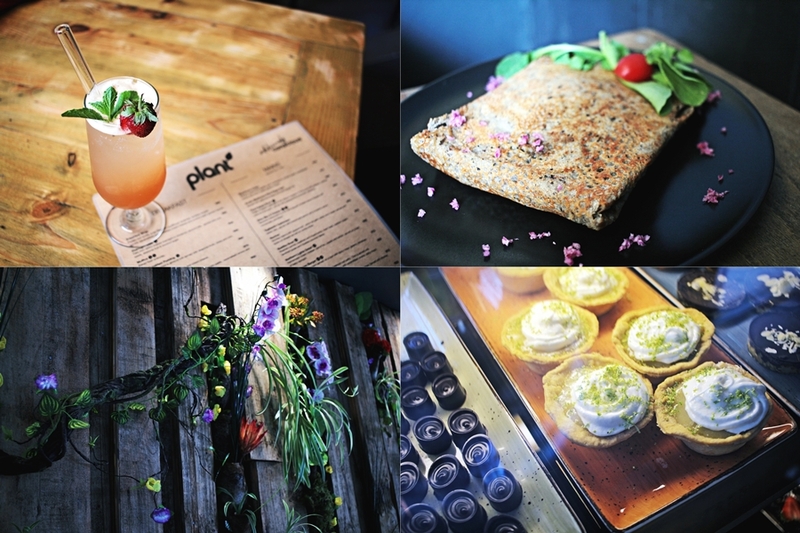 Plant just recently reopened so make sure to pay the lovely team a visit. The restaurant offers seats inside and outside. 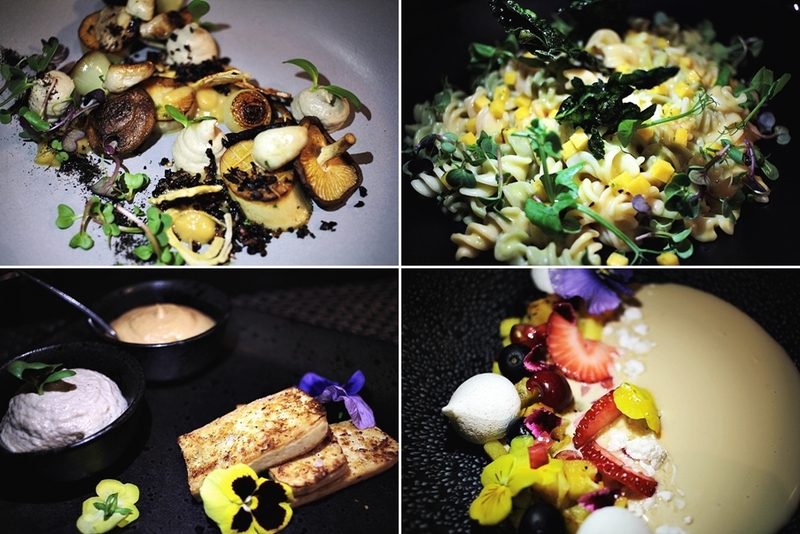 The restaurant is located within Cape Town city center and easy accessible trough long and loop street. 3PM, Beside all the food places you guys wouldn´t want to miss the sights when visiting cape town. As I was a little bit in a rush, I couldn´t make it to the mountains and beaches but however I would one these things to do and calculate a whole day instead of only a few hours. For those who might just have an overlay stay and still want to see something and take nice photos I recommend the Cape Town Waterfront and Bo-Kaap, also known as Malay Quarter, which is next door of the Hilton Cape Town City Centre. It is famous for being the most colorful street and attracting visitors will countless colorful houses. Nearby are also the futuristic and modern glass buildings and skyscrapers so make sure to walk around and get the best out of both “worlds”. 5PM, After such a long day it is the best to take a rest. Cape Towns best secret, the Mai Thai spa, might be just the perfect city oasis to calm before heading out for dinner. The family owned spa is run by a brother and sister and offers Thai and African inspired treatments, with original products and interior. I enjoyed a 90-minute Mai Thai Signature massage, done by the lovely therapist Sumatra. The spa is all influenced by Thai and African culture and has staff from both nationalities. The team has been super friendly and welcoming and with a small backyard with lights and flowers the whole spa transforms indeed to an oasis for body and mind. It is already well known as one of the best spas in cape town, offering treatments with QMS! and OPI. As I was trying the 90-minute Mai Thai Signature massage, I highly recommend it. Very special about this treatment is the stretching aspect, as the therapist will do some stretching exercised with arms and legs and this again will lead to get solved of the tension, especially (for me) in the shoulder and lower back area. Mai Thai Wellness Spa is set in an historical 19th Century house in Dixon Street, the heart of De Waterkant Village in Cape Town -nestled between Table Mountain, the City Centre and the Victoria Alfred Waterfront. Also known as “De Waterkant Old Town”, it is a friendly village of chic restaurants, art galleries, boutiques and French style sidewalk cafes. 7PM, The last stop on this guide is the Liberty's Restaurant, which I visited while staying with the Hilton Double Tree Cape Town hotel. My absolute highlight while staying with the Hilton Cape Town Double Tree hotel has however been the dinner, which is the reason while I wanted to include it into my guide. This chic restaurant offers an extensive a la carte menu and all-day dining in a discreetly glamorous atmosphere. Having spent 15 years honing his culinary talents across Europe and South Africa, executive chef Simon Kemp has made the DoubleTree by Hilton Cape Town - Upper Eastside kitchen his creative home. Experimenting with a fusion-style menu, Simon is also a master at the traditional: his handmade burgers are legendary. The hotel is currently also working on a new menu. While I had a little chat with he chef he told me that the hotel is also creative special menus for requests on vegan menus, per example. The menu however includes vegan friendly options and wide varieties of Asian, Arabic and western foods. It is a great mix for every kind of taste. After dinner you guys could return home and take a rest, before the sun goes up again and a new day in the cosmopolitan metropolis Cape Town waits for you. I also want to take the chance to say “thank you” to the mentioned partners, who kindly invited me and supported me to create this guide. For me these places have been honestly special, out of a personal experience. The whole “package” (service and quality) is given. The owners of there shops are true souls and actually in the first line to assist one while visiting. Sollte ich mal nach Kapstadt kommen, würde kein Weg an der Bäckerei und dem Spa vorbei führen.